The Saturday draws of various lotteries have taken place. A lucky few get richer by a few thousand dollars. Here are the numbers which were drawn on Saturday’s lottery draws. Palmetto Cash 5: 08, 15, 24, 29 & 32. Power up: 02. Mega Million: 10, 14, 40, 49 & 51. Mega Ball: 04. 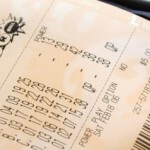 In US Mega Millions Lottery & Powerball the story continued with no jackpot winner this week as well. Mega Million jackpot has reached $88 million for Tuesday’s drawing. On Friday, two Mega Million tickets have won $250,000 each by matching the first five numbers. Those tickets were sold in Texas (1) & Washington (1). 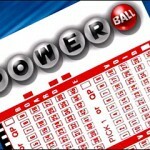 The jackpot on offer on Friday’s draw was $76 million. The script was similar in Powerball as well. Here too, no one won the much coveted Powerball jackpot. The amount that could have been won on Saturday was $63 million. 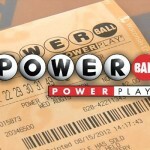 Now the Powerball jackpot would climb to $76 million on Wednesday. Two tickets, sold in New Jersey (1) & Texas (1) matched the first five numbers & won $200,000 each in prize. No ticket could even match the Powerplay number.